The modern landscape of distributed fast data pipelines such as the SMACK stack has dramatically changed data processing paradigms. Learn how Apache Mesos and DC/OS can abstract away the underlying complexity of running distributed data pipelines. Apache Mesos is a distributed system for running other distributed systems, often described as a distributed kernel. It’s in use at massive scale at some of the worlds largest companies like Netflix, Uber and Yelp. DC/OS is an open source distribution of Mesos, which adds all the functionality to run Mesos in production across any substrate, both on-premise and in the cloud. In this talk, I’ll introduce both Mesos and DC/OS and talk about how they work under the hood, and what the benefits are of running these new kinds of systems for emerging cloud native workloads. Matt Jarvis is Senior Director of Community and Evangelism at Mesosphere, engaging with the communities around DC/OS and Mesos. 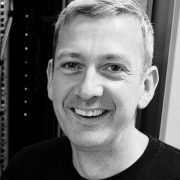 Matt has spent more than 15 years building products and services around open source software, on everything from embedded devices to large scale distributed systems. Most recently he has been focused on the open cloud infrastructure space, and in emerging patterns for cloud native applications. Matt is a regular speaker on the international conference circuit, including MesosCon, Open Infrastructure Summit, Cloud Native London, and OSDC in Berlin.